Photo by Bryan Stevens Don’t believe all you hear. Dragonflies and damselflies are harmless to humans. They can’t sting. They can’t sew your lips shut. People have invented many scary names for these winged insects, including “snake killer,” “water witch” and “devil’s darning needle.” Don’t be fooled by the bad press and all the myths. 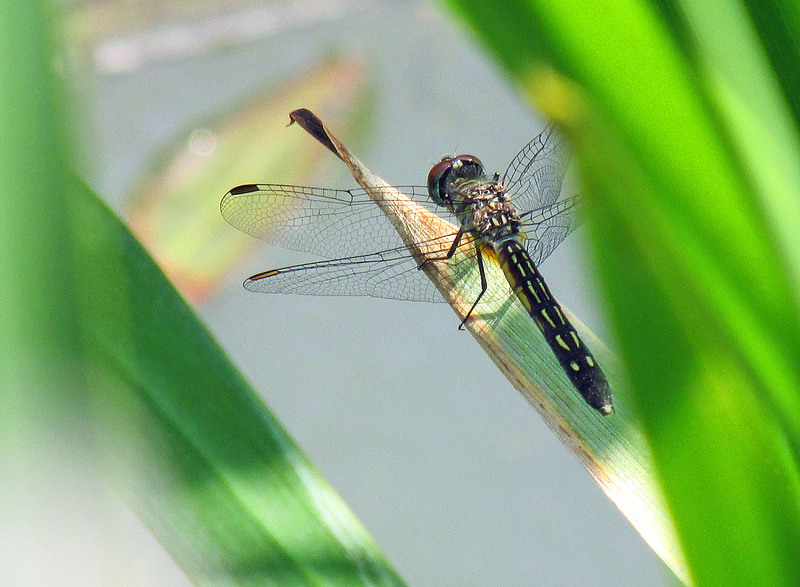 Dragonflies and their kin are some of the world’s most beneficial insects. 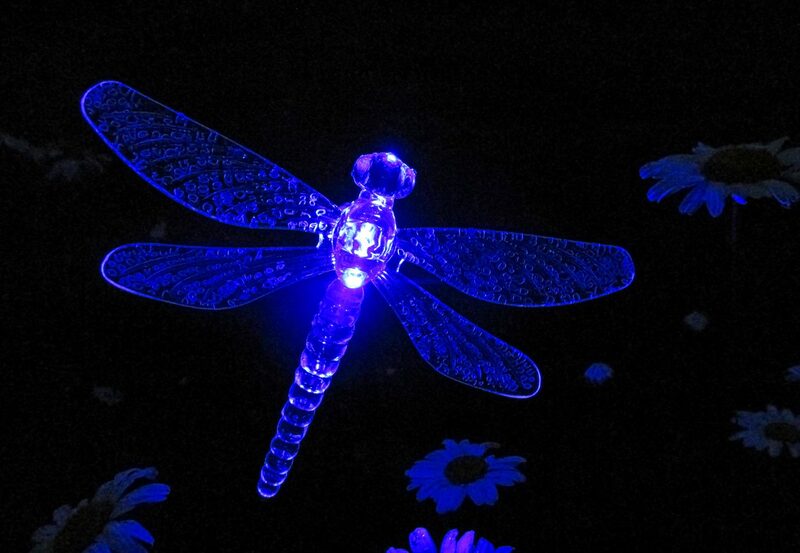 Pictured, a decorative and illuminating dragonfly owned by a fan of these valuable insects. I’m taking a hiatus from the birds for one week to bring you some other things with wings in the form of a pictorial essay of dragonflies and damselflies, otherwise known as “odes,” or members of the insect order of Odonata. I hope you enjoy this diversion. I know I’ve had much fun this spring photographing the odes at the fish pond at my home on Simerly Creek Road in Hampton. I’ve also visited some other locations to find and photograph them, including Erwin Fishery Park in Unicoi County. 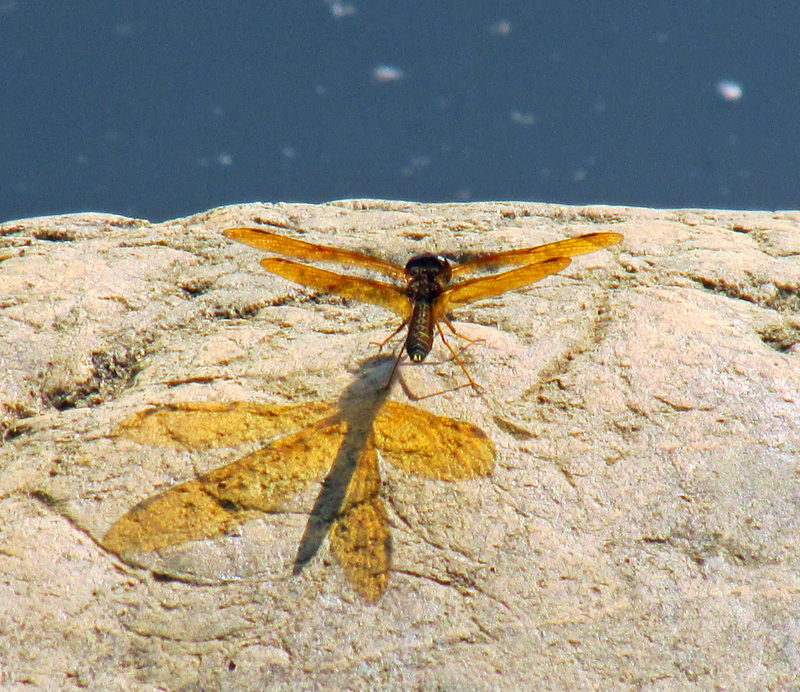 An Eastern Amberwing casts an amber shadow on this rock at the edge of a pond in Erwin, Tennessee. This is one of the smaller dragonflies in the Southern Appalachians. The largest dragonfly to ever live was Meganeura monyi, which lived during the Carboniferous period about 300 million years ago. It resembled and was related to present-day dragonflies. With a wingspan of almost 26 inches, it is one of the largest known flying insect species. Like modern dragonflies, Meganeura monyi was predatory and fed on other insects. The Aurora Damselfly is a study in simple elegance. 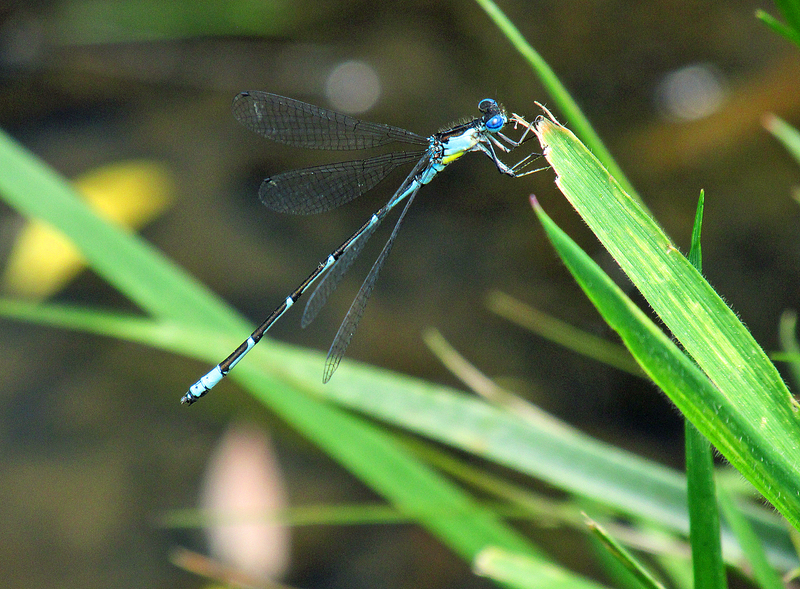 Damselflies are typically weaker flyers than dragonflies. A glimpse through the vegetation at one of the pond’s most voracious predators. 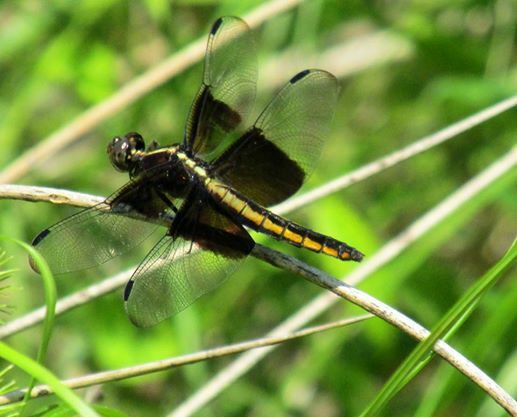 Dragonflies consume many other species of insects, including some that are considered pests. Pictured is a female Blue Dasher. Photo by Bryan Stevens Dragonflies and damselflies have been around longer than birds. Scientists estimate that these insects have been flying our skies for 300 million years. 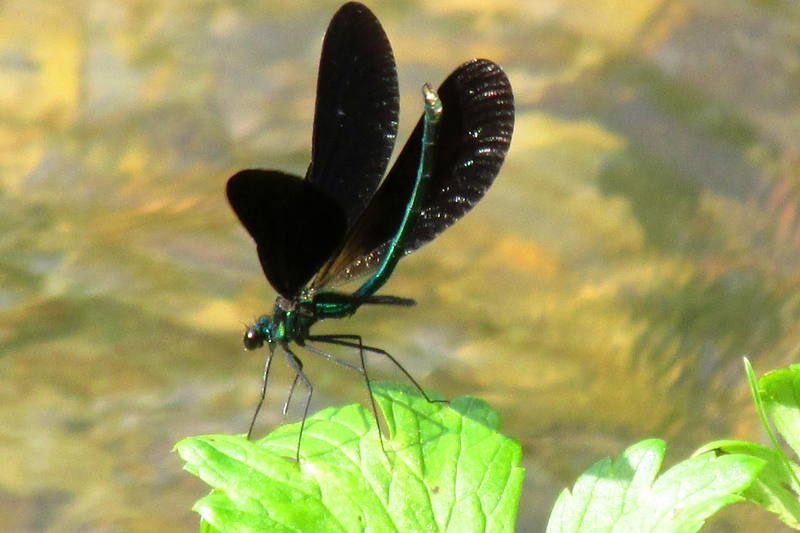 Photo by Bryan Stevens Pictured, a male Ebony Jewelwing displays along the edge of Simerly Creek. Most, but not all, damselflies are fairly small. Megaloprepus caerulatus, which belongs to the Forest Giant family of damselflies, is the world’s largest damselfly. This damselfly inhabits rain forests in Central and South America. It has the greatest wingspan — 7.5 inches for large males — of any living damselfly or dragonfly. Photo by Bryan Stevens What big eyes they have! Not surprisingly, it’s the better to see you with that has pushed the evolution of the dragonfly eye. A dragonfly’s head is comprised almost entirely of two large, compound eyes. Pictured, a Blue Dasher. Photo by Bryan Stevens Common Green Darners photographed in early May on Holston Mountain in Elizabethton. 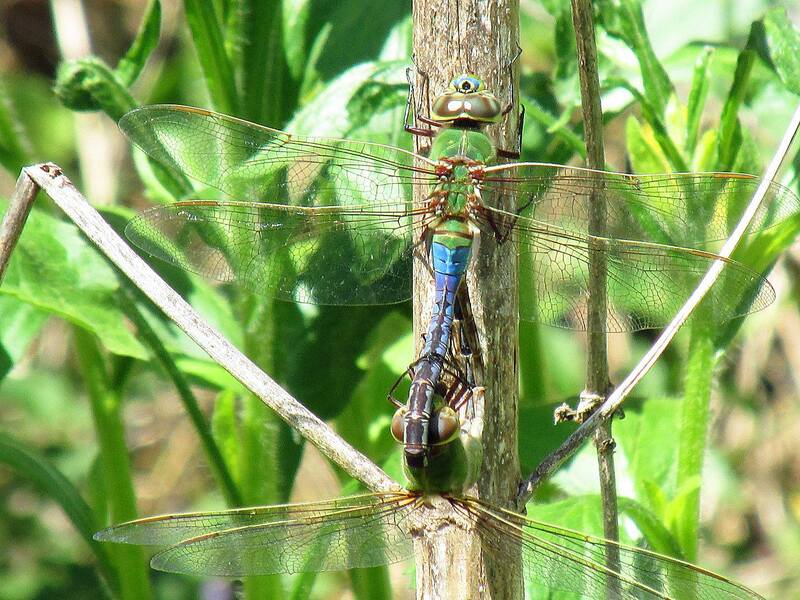 At least 5,000 species of dragonflies and damselflies have been documented by scientists. There are probably more yet to be discovered. Photo by Bryan Stevens There are no vegetarian dragonflies. 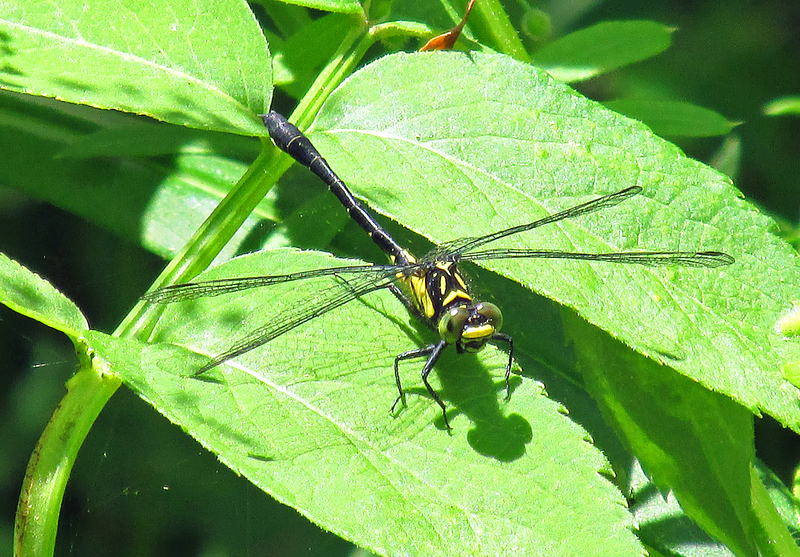 Adult dragonflies feed on other insects that they catch in flight. 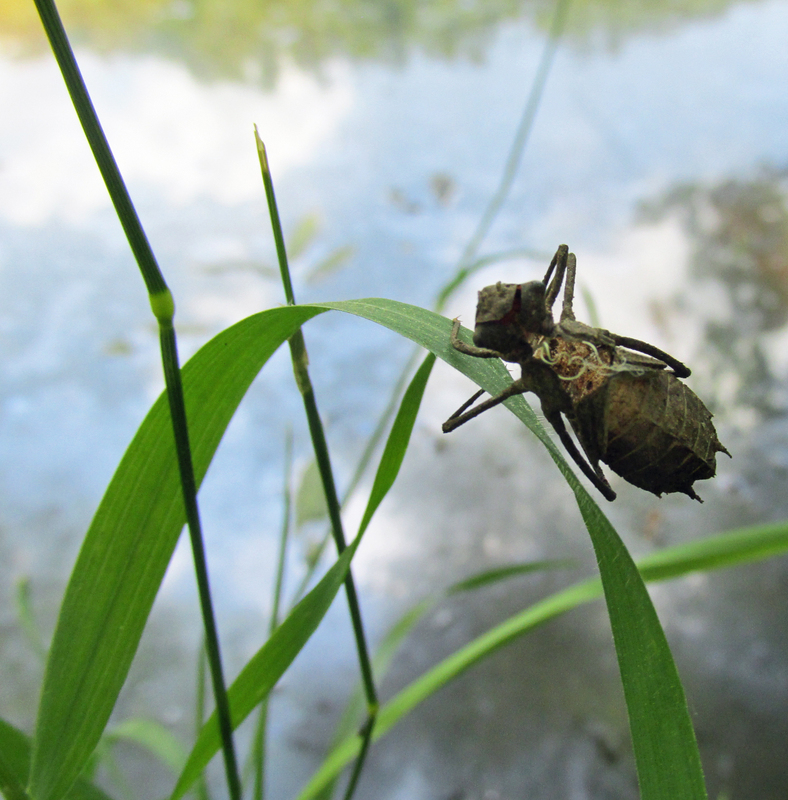 Larval dragonflies, called nymphs, are aggressive underwater predators that feed on almost anything they can catch, including tadpoles, small fish, other aquatic insects and even each other. If mosquitoes are a nuisance, be sure to welcome dragonflies. They’re a major predator of mosquitoes. 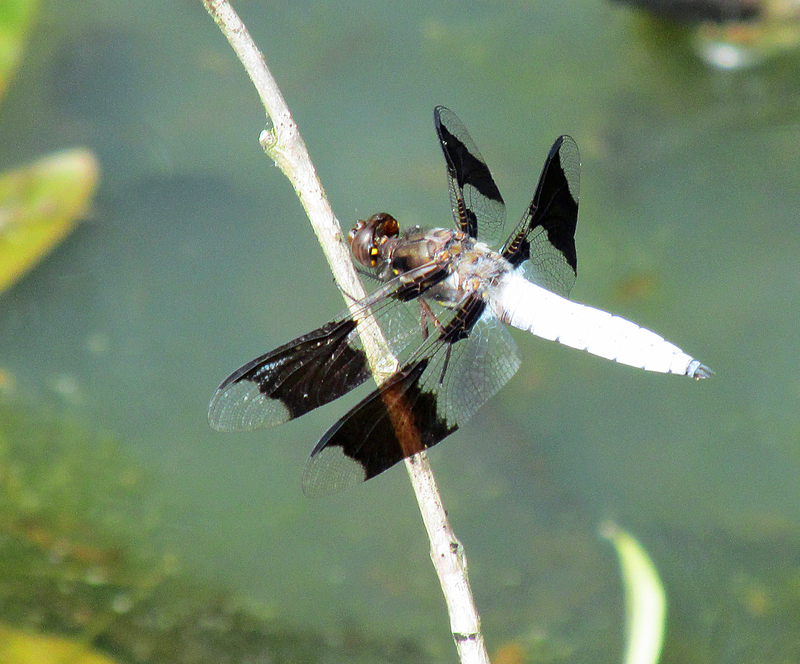 Pictured, a Widow Skimmer perches at the edge of a pond, resting until her next flight to prey on other insects. Like birds, some species of dragonflies migrate. They may also form swarms — the equivalent of a flock of birds — as they stage their migratory flights. Photo by Bryan Stevens This empty shell once housed a voracious dragonfly nymph until it emerged as an adult dragonfly. Photo by Bryan Stevens A Common Whitetail perches by a pond’s edge. For more information on dragonflies in the Volunteer State, please visit http://www.pbase.com/rconnorsnaturephoto/tennessee_odonata to learn more. 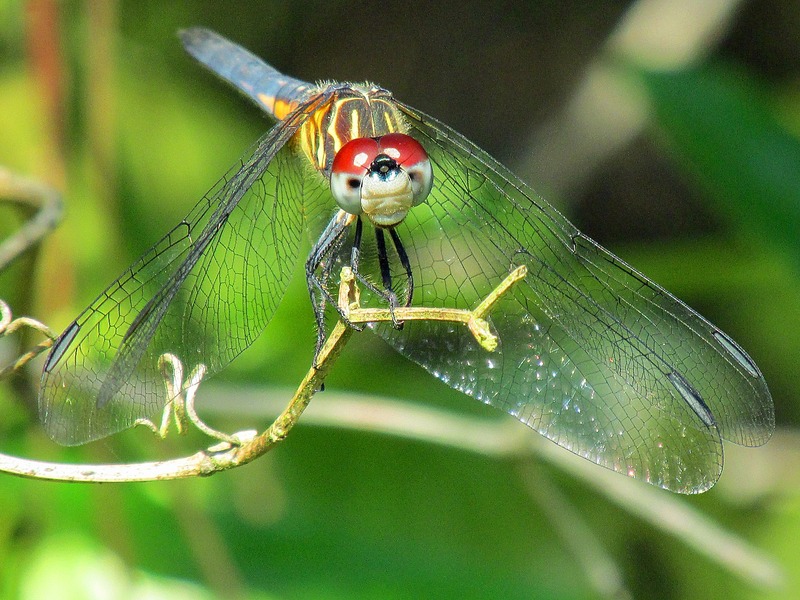 This entry was posted in Birding, Birds, Damselflies, Dragonflies and tagged Damselflies, Dragonflies, nature, Nature studies, Odes, Odonata on June 8, 2014 by Bryan Stevens.